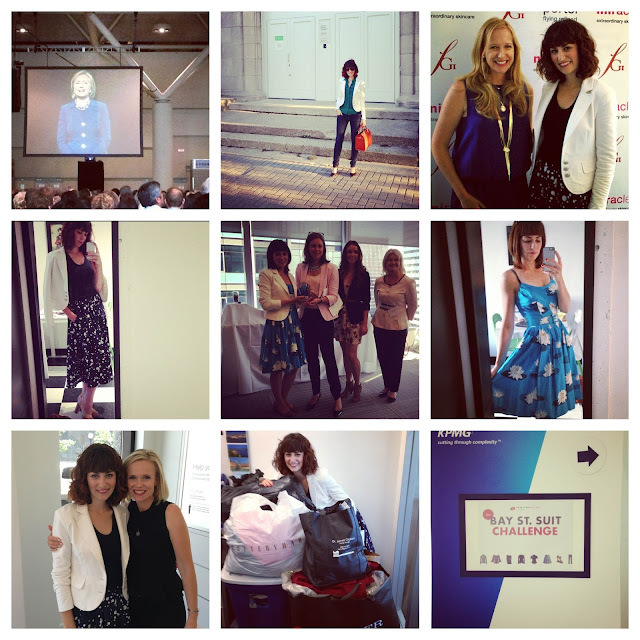 Instagrams of the Week - Hillary Clinton, Alexandra Wilson and Dress for Success! This week was a busy one! It was also one of hearing inspiring and influential women speak. I was granted the opportunity to interview Alexandra Wilson of Gilt when she visited Toronto for an FGI event. She has a fantastic new book out called "By Invitation Only". You should read it! She was had some fantastic advice and was gracious and patient with each and every person she met. I'll be posting my interview on the FGI website here shortly. Thanks again FGI for giving me this opportunity! Next up, Dress for Success. I have worked with this organization over the last two years and it has been very rewarding! For the second year I participated in the Bay Street Suit Challenge where we collected over 8,000 pieces of business clothing to provide to men and women in need who are in the process of looking for work. You can volunteer with Dress for Success in many ways: help with fundraising, clothing drives, styling and more. If you are interested in learning more please contact me at clotheslinefinds@gmail.com or visit the Dress for Success website at Dress for Success Toronto. Finally, last night I joined 5,000 other Torontonians to hear the amazing Hillary Clinton speak for the Unique Lives series. It was a very inspiring evening and what stuck with me most were her quotes "Dare to Compete!" and "Get caught trying [to make a difference]!" She is a wonderful public speaker, motivator, story teller and one of the most important female leaders in politics. We all left inspired and ready to take on the world! I recorded her speech so will be writing a more in depth post about it next week.